LSA type 1 updates describe the router itself: interfaces (in the area), list of neighbor routers and the router ID (RID). The RID is transmited by a linkstate-ID in this hello packet. The linkstate-ID is equal to the RID. LSA type 2 updates represent a transit subnet for which a DR is elected. 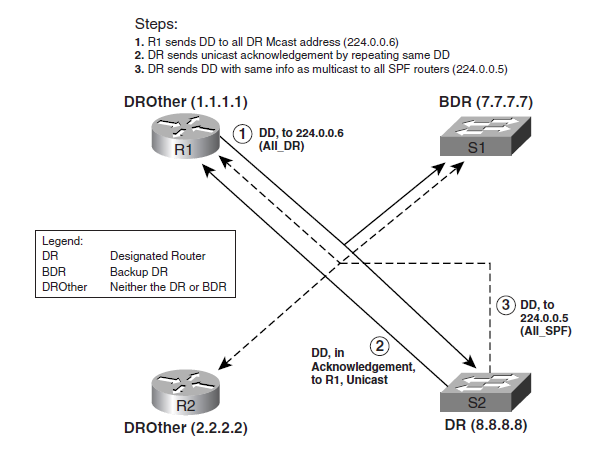 The LSID are the RID of the DR IP’s address on that particular subnet. I’ts only active on subnets with a active DR. For subnets without a DR (like a point-to-point), type 1 packets are enough for creating the topology database. Inside one area, only LSA types 1 and 2 are send out. All the routers can create a topology table with only these type 1 and 2 LSA’s. 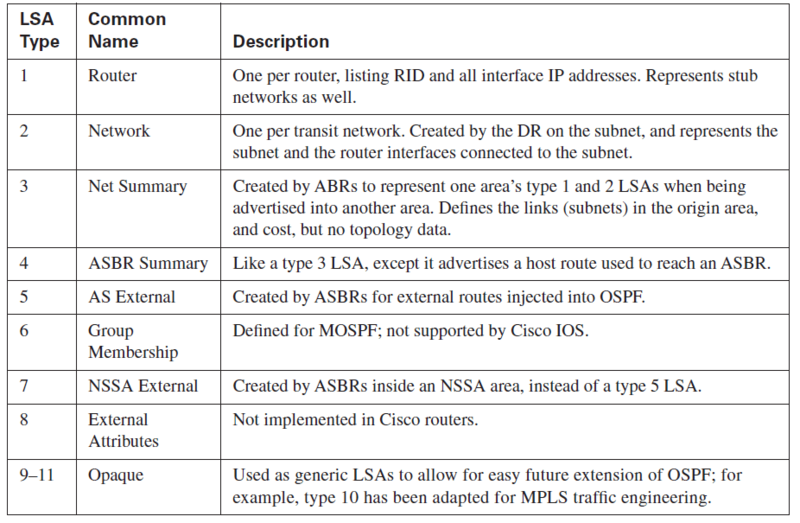 A “show ip ospf database” lists all the received LSA types. OSPF is a link-state routing protoocol which uses factors such as speed or the link’s shortest path to decide which route is the best. 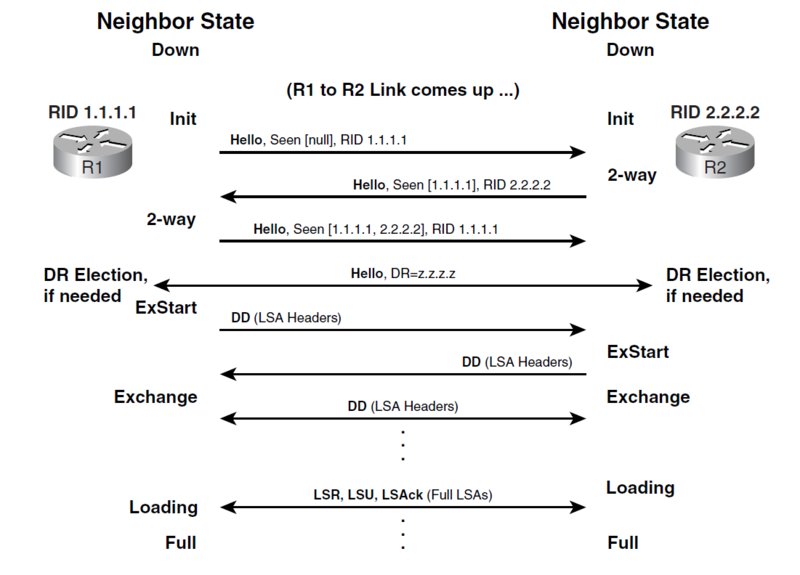 Link state protocol routers maintain a common picture of the network and exchange link informantion during discovery and/or network changes. OSPF uses areas: every network segment is cut into smaller areas of routers: less LSU’s are sent out and more efficient routing takes place. eh Every router in a area does have the same topology table. RIPv2, isn’t that hard at all. Frame-Relay Traffic Shaping (FRTS) can be hard to understand. The most important difference between these two is the fact that shaping is designed to delay excess traffic, whereas policing drops the excess traffic. Shaping uses credits. Before a packet can be sent, the amount of credits equaling the packet size in bits have to be available. Policing is not designed to guarantee bandwidth, it’s designed to limit bandwidth. Every Secondary VLAN will be associated to a primary VLAN. Every primary VLAN can exist of multiple community VLANs but only 1 isolated VLAN.